The potential energy held in the time immediately after the holidays and before the new year is tremendous. You can hear it crackling under the surface, waiting to be harnessed and transformed into whatever you can dream up. Each year, I eschew resolutions or life lists and instead gather my intentions around one word. I let this word being my guiding principle and use it to motivate and re-center myself through out the year. I recently read an interview with Joy Harjo where she said, " ...writing tells the truth, but also constructs a truth upon which to build on." YES! Writing, even for the non-writer, can not only help figure out where you are at, but can construct the road map for where you want to go. Grab your journal and use any of the following prompts to uncover what your word for 2013 might be. And please, share with us! What do I want to create in the new year? What do I want to do and how do I want to spend my days? What do I need to moving towards? What is the legacy I am creating right now? What are the thoughts I am most afraid to think? What idea makes my heart beat a little faster? How do I want to experience time? My word for the year is fly - which for me means to take leaps of faith and do all the madcap things I am thinking/writing/plotting about. I started last year with my labs and was rewarded in both huge and subtle ways. This year, the ideas might be even bigger and I am going to jump into to clear, blue air without a safety net. So, be prepared for some spectacular claims and perhaps some crushing failures. I expect both. Want to work with me and creative moms from around the world? Sign up for the Mama Scout Family e-Lab! It starts January 7th and offers you 30 packed days of ideas, prompts and creativity projects to help your family reconnect and think outside the box. Troop 4 needs you and your energy! This year my word was stretch and boy did I. I had no idea how big that word would become for me and my life. I am still deciding on my word for the upcoming year. I am planning on working a bit on a vision board over the next few days to really zero in on it. Personally I love the use of fly for you! I think my word is connect. I loved these writing prompts thank you! My word this year will be Clarity. Last year my word was "foundation"; this year my word is "now". I love the idea of a Word of the Year! 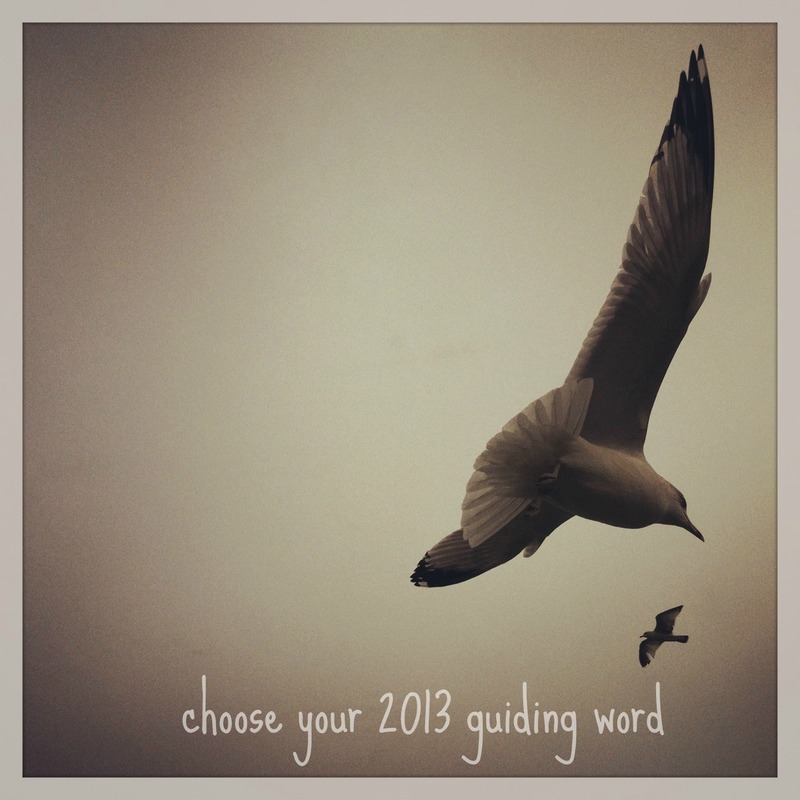 My word for this year is compassion -- here's a bit about why: http://jennifischer.blogspot.com/2013/12/compassion-my-word-for-2014.html -- As for your word, I am so exciting to watch you fly this year! I think my word for this year will be fun, not staying mired in my work. To have fun with my kids and hubby while I can. Zoo, museum, faires and just small day trips. I don't want to be old before I'm 40.